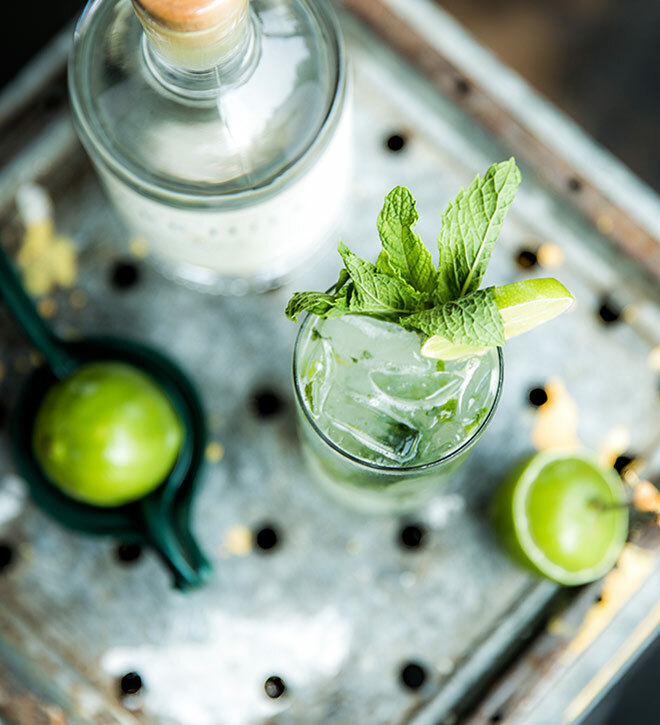 Mint To Bee is a bee-keepers twist on the classic mojito. Combine in mixing tin mint and sugar, muddle gently, add the lime juice, Barr Hill Vodka and ice, shake for 15 seconds and strain into a tall glass over fresh ice, top with club soda. Add garnishes.